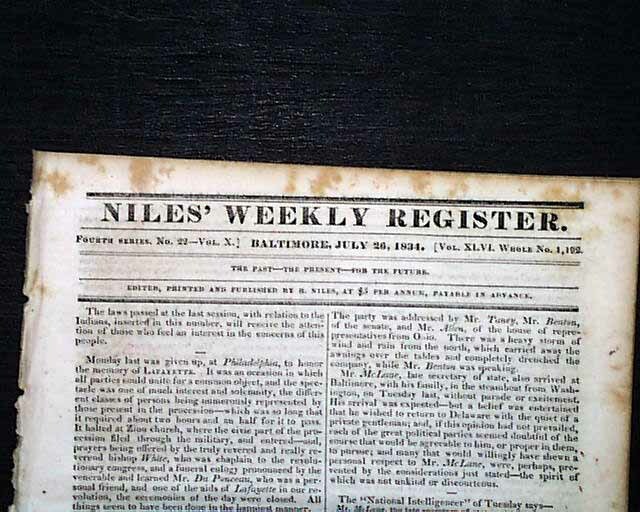 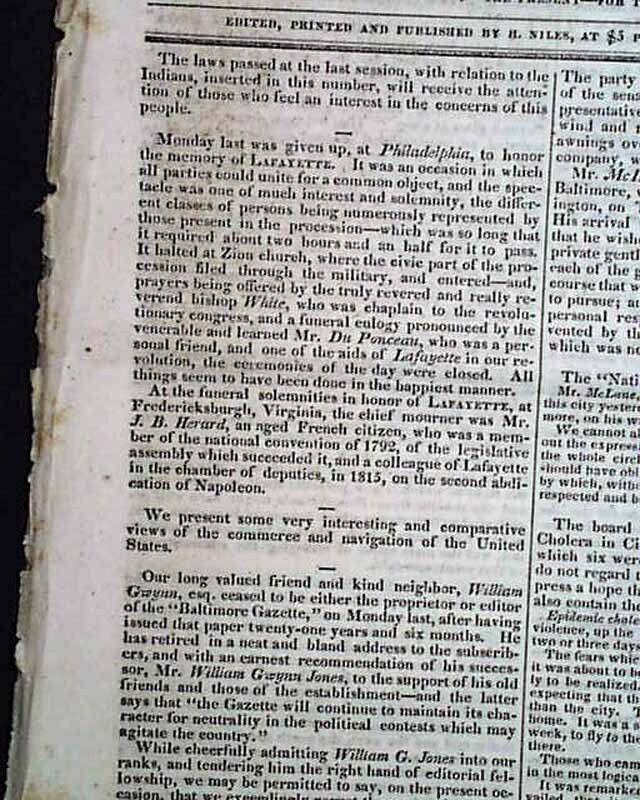 NILES' WEEKLY REGISTER, Baltimore, July 26, 1834 The front page has an item concerning the memory of LaFayette, who recently died, plus there are two letters on an inside page each signed by: George LaFayette, concerning the death of the general. 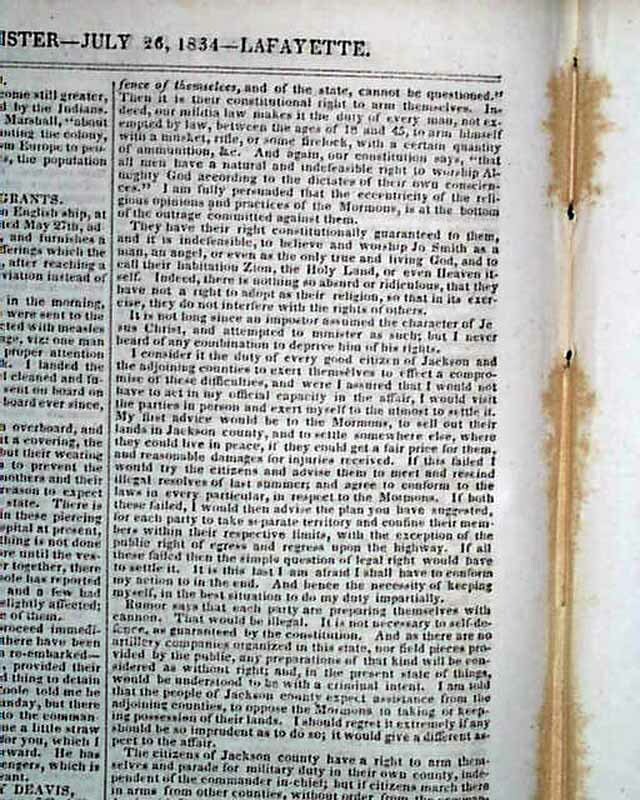 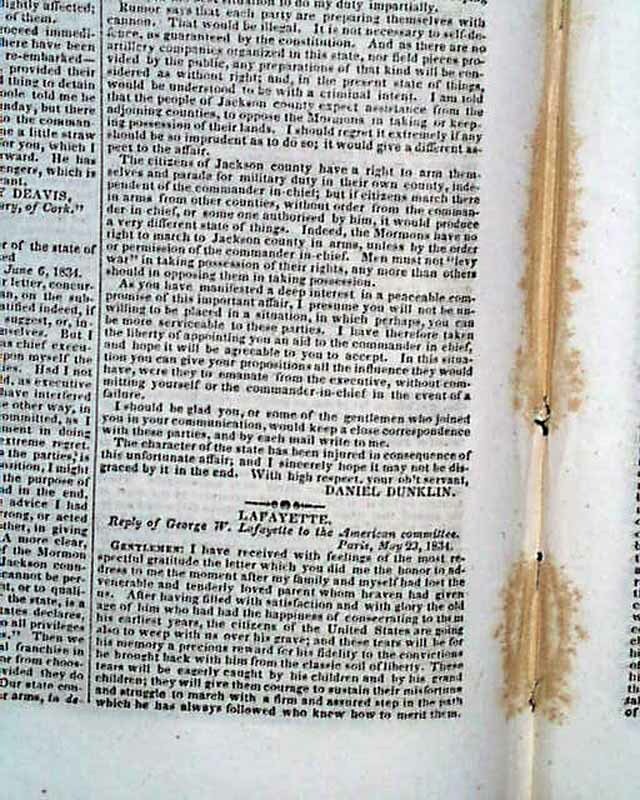 One Mormon report includes: "The report of a battle with the Mormons in Jackson county Missouri, was not true...well armed, advanced, assured by their prophet, Smith, that he would raise all that should be killed in fighting the battles of the Lord!..." 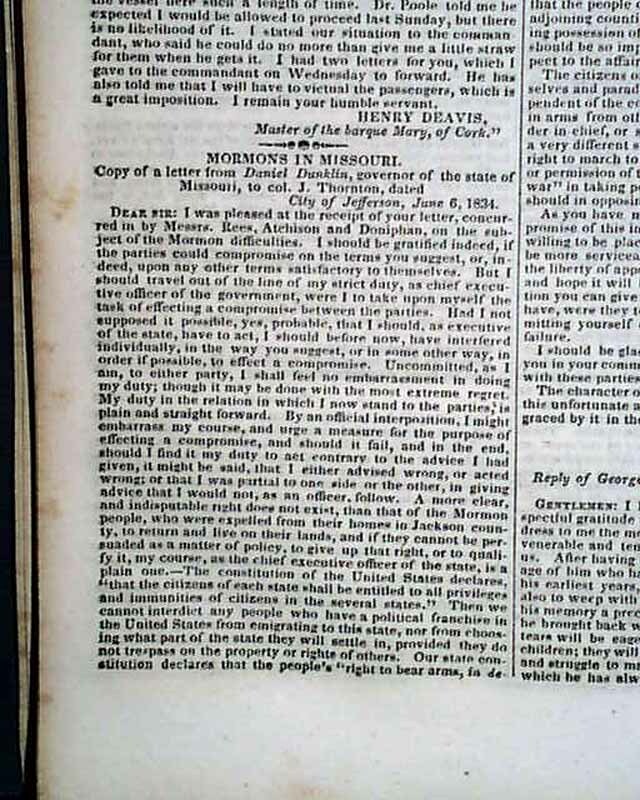 with more (see photos). 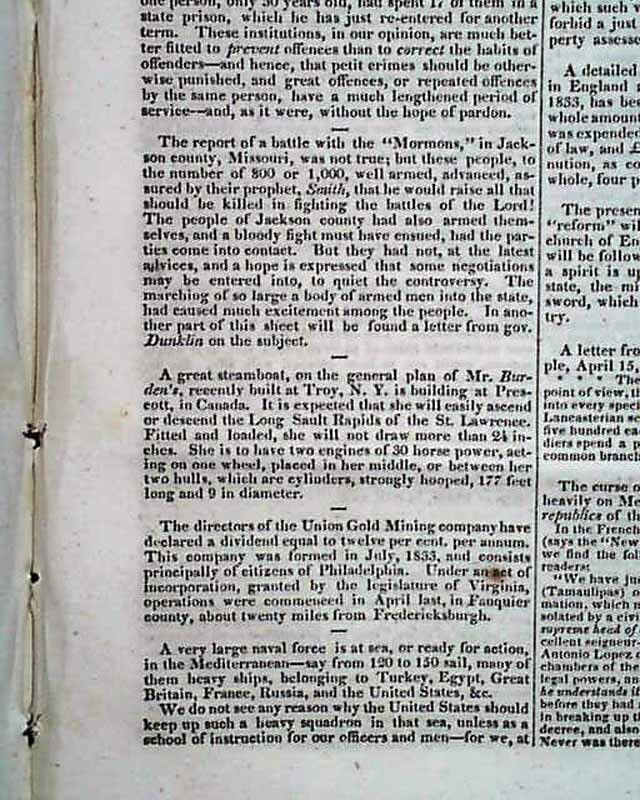 A second report takes over half a page, headed: "Mormons In Missouri" (see photos). 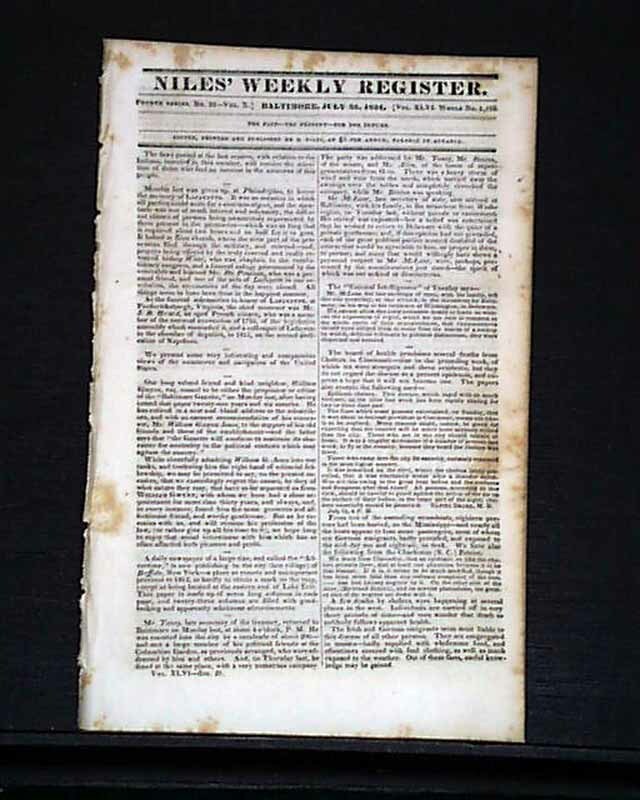 Complete in 16 pages, measures 6 by 9 1/2 inches, has scattered foxing, otherwise nice condition.